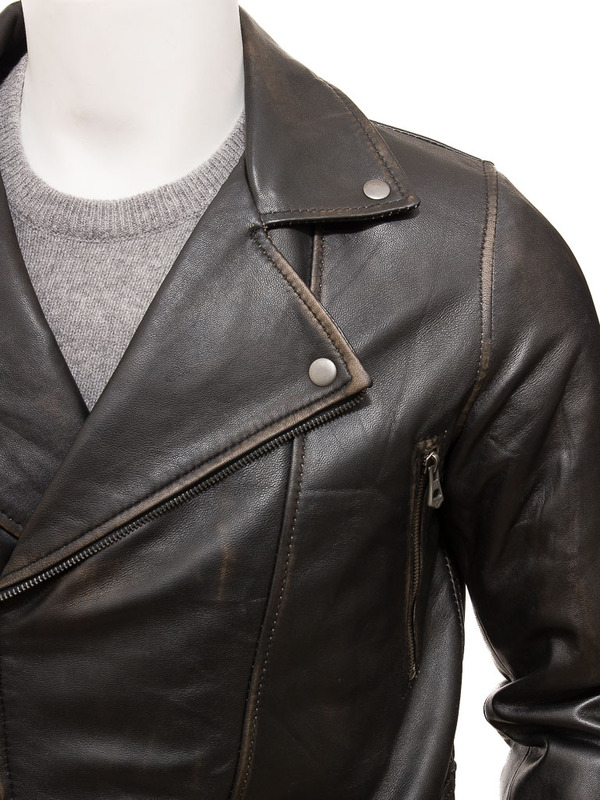 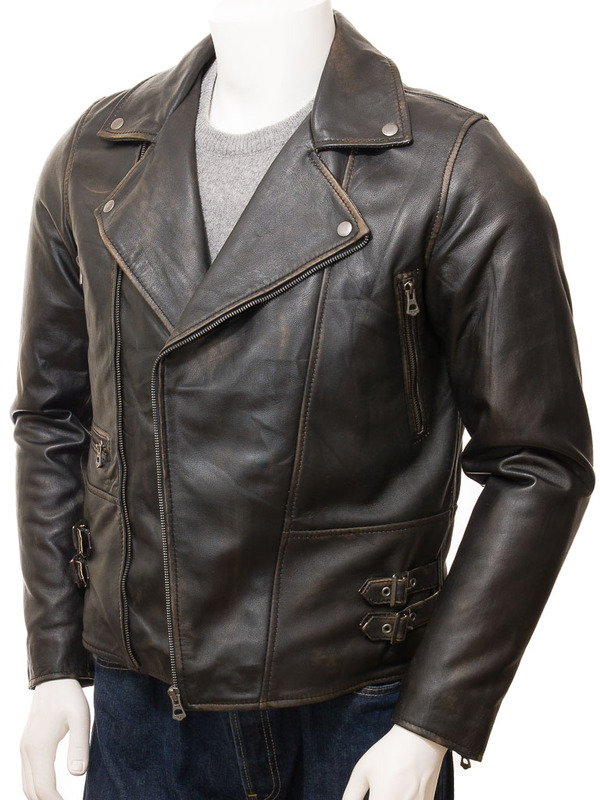 The original leather biker jacket, now in super soft sheep nappa with an vintage patina. 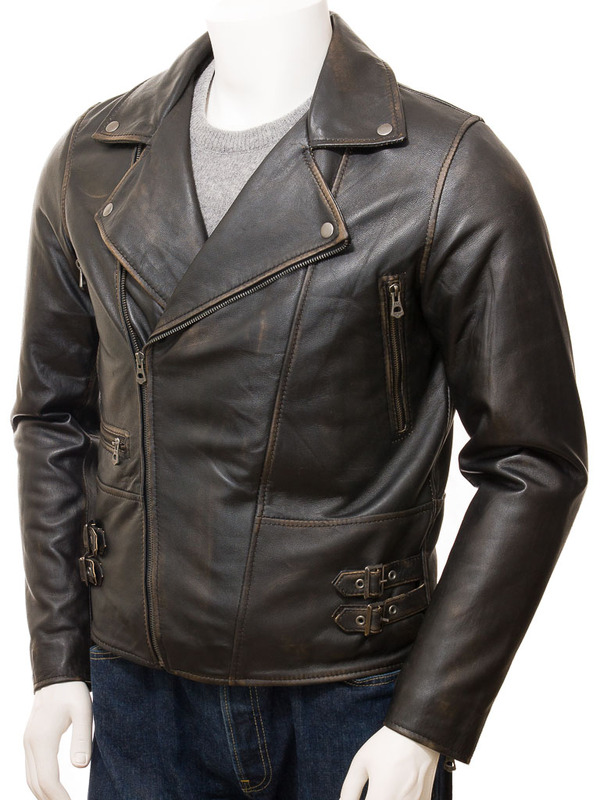 This style is so well known now with a gunmetal angled zip running up a double breasted front to notched lapels that fasten to the body with press studs. 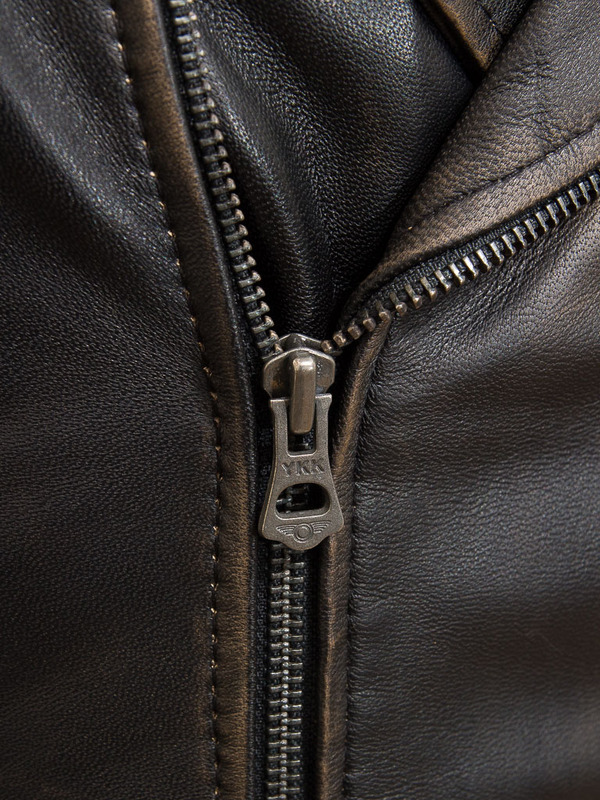 There are two zipped pockets at the waist and a couple of buckled waist adjusters attached to each side seam. 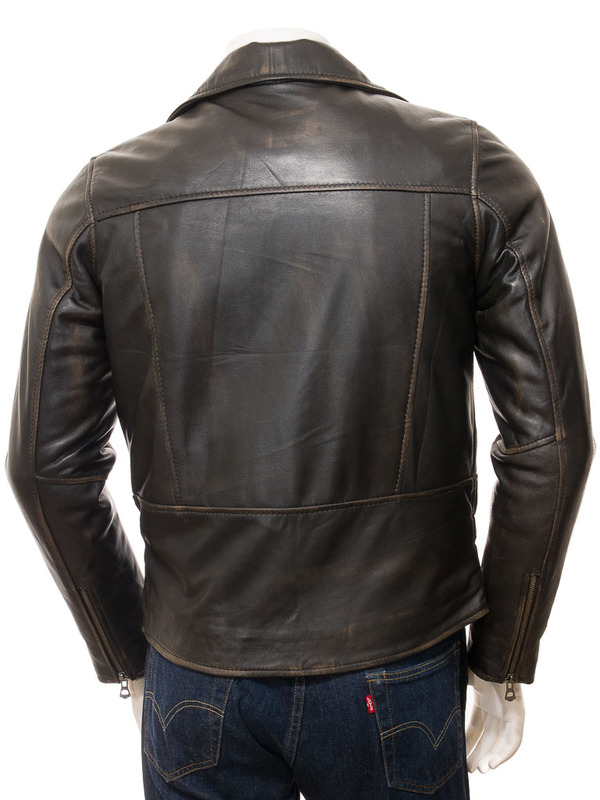 Zipped gauntlet cuffs allow a slim fit to the sleeves while the interior is fully lined in black poplin and includes two leather trimmed pockets, one of which is zipped for additional security.